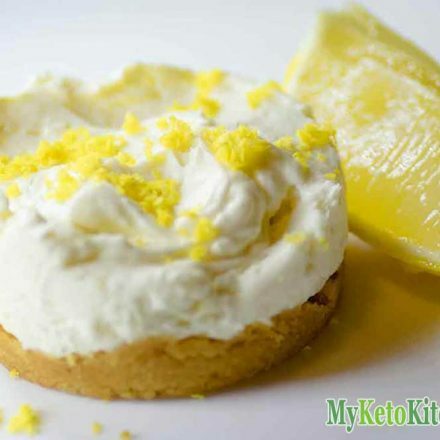 With this simple Keto Cheesecake Recipe, you can have your cake and eat it too. Tip: Try doubling or tripling your batch and freeze your Cheesecakes for a later date – just allow to soften for 10 minutes before enjoying. We have plenty of tasty desserts that are grain-free, sugar-free and gluten-free. 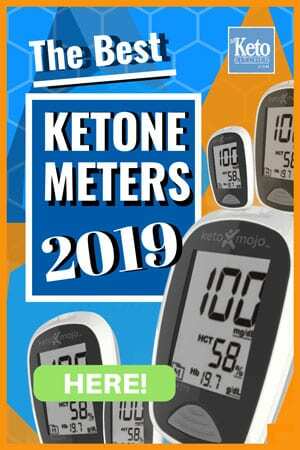 Try our Low Carb Chocolate Coconut Cheesecakes, our Keto Chocolate Ice Cream, or even our Low Carb Key Lime Pie. We’ve added nutritional information for your benefit on the recipe card below. This recipe makes 6 servings, the recipe card reflects 1 serving which is 1/6 of the total recipe. Melt butter and mix into almond meal. Grease 6 holes of a regular muffin tin and press almond mix evenly into the base of the 6 holes. Bake for 12 minutes or until golden brown, leave to cool. Add all filling ingredients into a bowl and mix with a hand mixer for 7 minutes, until well combined. Hand mixers save a lot of time and make mixing cream cheese so much easier. You can find the one we recommend here. Evenly spoon the mixture over the 6 cooled bases and smooth with a spoon. Refrigerate for at least 3 hours before serving. When removing the cheesecakes from the muffin tin run a knife around the edges first to loosen them. 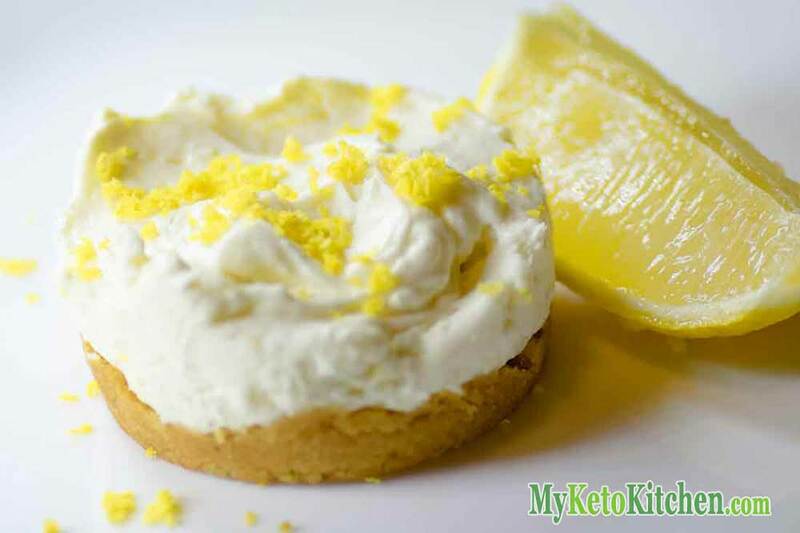 With this simple, low-carb keto cheesecake recipe you can, "have your cake and eat it too". The base is also Gluten-Free (as all keto recipes are). Grease 6 holes of a standard sized muffin tin and press almond mix evenly into the base of the 6 holes. Bake for 12 minutes of until golden brown, leave to cool. Add all filling ingredients into a bowl and mix with a hand mixer for 7 minutes, until well combined. Try our Vanilla Cheesecake Fat Bombs or No-Bake Chocolate Cheesecake they’re simply divine! 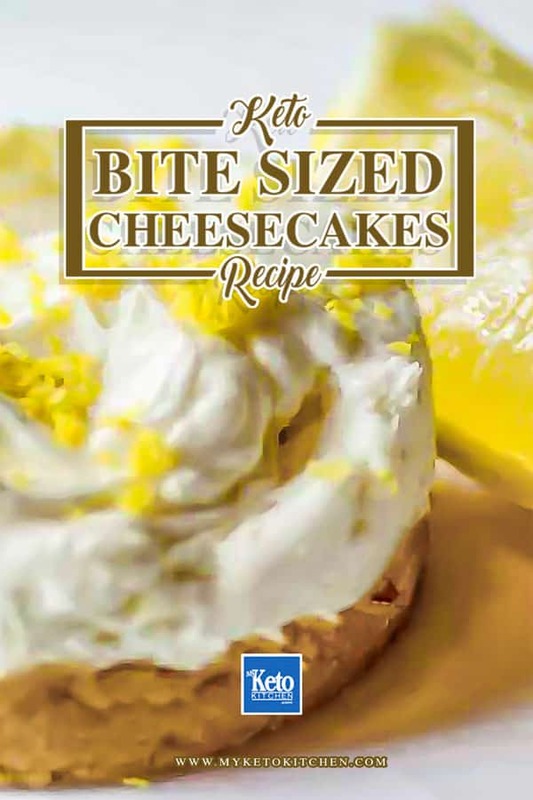 To make a larger batch of this Keto Cheesecake recipe, simply adjust the serving amounts above.